Does the thought of crunching five giant servings of raw vegetation a day sound, well, a little daunting? Not a problem for the duck-billed dinosaurs — a family of large reptiles that once roamed the Earth in herds and could pulverize and consume just about anything that grew from the ground. “These guys were like walking pulp mills,” said Gregory Erickson, a biology professor at Florida State University whose research on duck-billed dinosaur teeth appears in the latest issue of the journal Science. Erickson and his colleagues wanted to know how this wily group of dinosaurs — whose broad, duck-like bills and jaws bearing as many as 1,400 teeth allowed them to munch on both low-lying plants and tall trees — developed a complex grinding capacity. Most reptiles have simple teeth composed of just two tissues (enamel and dentine) and upper and lower teeth that do not make contact when they bite down. Better known as hadrosaurids, the duck-billed “cows of the Cretaceous,” unlike typical reptiles, had the capacity to chomp tough and abrasive plants using coarse, grinding tooth surfaces that were similar to those of modern horses, bison, cattle and elephants. This ability to chew tough and abrasive plants allowed the species to thrive, Erickson said. During the Late Cretaceous Period, the duck-bills became the dominant plant eaters in what are now Europe, North America and Asia. 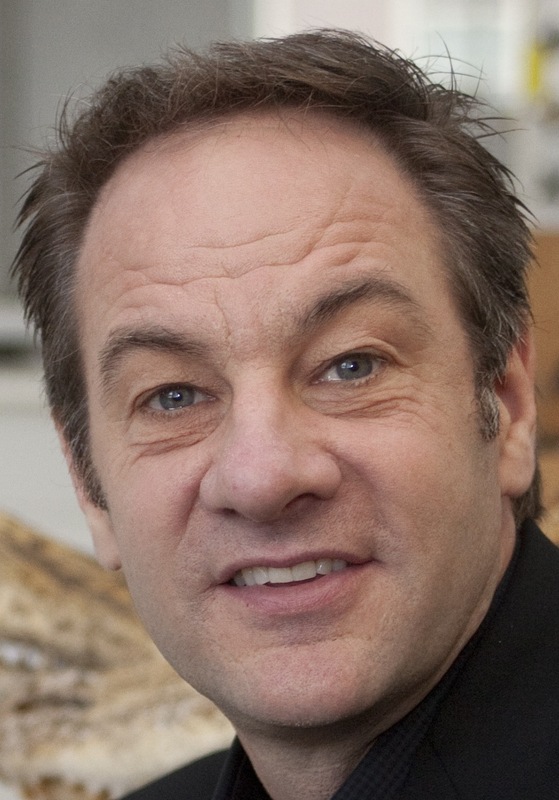 Erickson, along with his engineering and paleontology colleagues, found that duck-bills’ amazing grinding capacity was made possible by the evolution of cheek teeth with among the most complex tissue composition known. 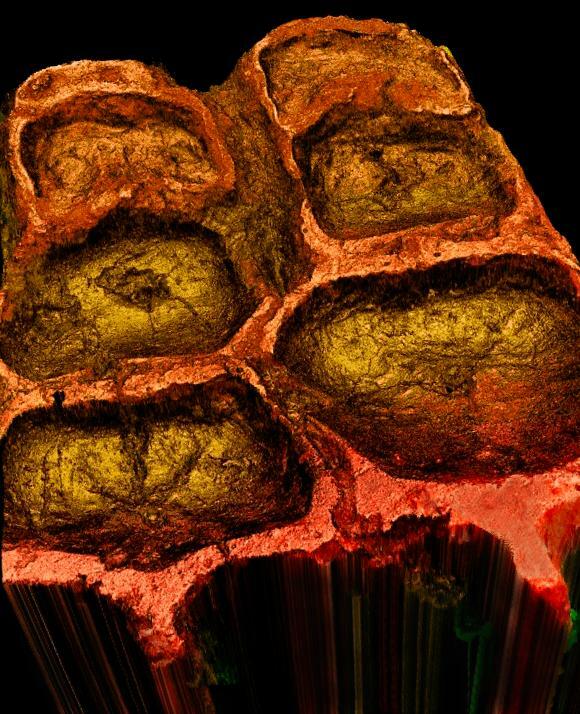 The mechanical wear attributes of those tissues — remarkably preserved in 70-million-year-old fossils — were measured and incorporated into three-dimensional models to reveal how the coarse surfaces were created and modified to allow changes in diet. Erickson became interested in duck-bill teeth years ago while researching his master’s thesis. He pursued the research because he knew it might provide a better understanding of how complex feeding was achieved during vertebrate evolution. The hadrosaurids had what scientists call a "dental battery," meaning they had hundreds of teeth that worked together when they ate, with new teeth "erupting" into the mouth all the time. Erickson’s research — funded by the National Science Foundation — is important for many reasons. 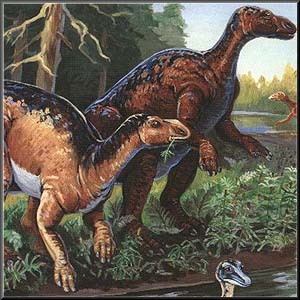 Other authors on the study were paleontologist Mark A. Norell of the American Museum of Natural History in New York City; and engineers Brandon A. Krick, Matthew Hamiltonand W. Gregory Sawyerof the University of Florida, Gerald R. Bourne of the Colorado School of Mines, and Erica Lilleodden of the Institute of Materials Research, Materials Mechanics, Helmholtz-Zentrum Geesthacht in Germany. For more information, contact Erickson at (850) 645-4991, (850) 345-8487 or gerickson@bio.fsu.edu.